Deinosuchus is an extinct genus related to the alligator that lived 80 to 73 million years ago (Ma), during the late Cretaceous period. The name translates as “terrible crocodile” and is derived from the Greek deinos, “terrible”, and soukhos, “crocodile”. The first remains were discovered in North Carolina (United States) in the 1850s; the genus was named and described in 1909. 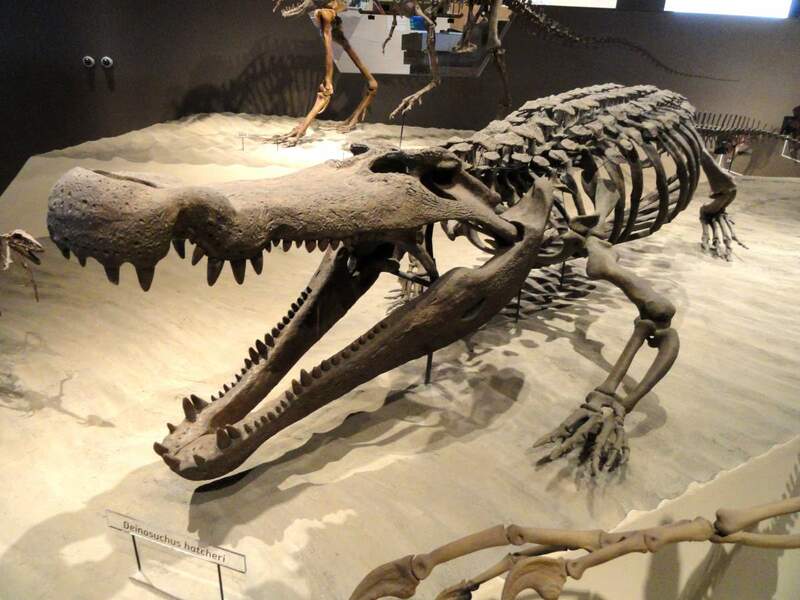 Deinosuchus was far larger than any modern crocodile or alligator, with the largest adults measuring 10.6 m (35 ft) in total length, its overall appearance was fairly similar to its smaller relatives (today’s alligators). Deinosuchus was an apex predator and probably capable of killing and eating large dinosaurs. It may have also fed upon sea turtles, fish, and other aquatic and terrestrial prey.